When you decide that it’s time to buy a house, there are many considerations you’ll have to make: What’s your price range? How many bedrooms do you need? Are you looking to buy a single-family home or a condo? One of the most important factors to consider, however, is where you want to live. 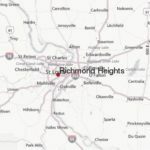 St. Louis has plenty of great neighborhoods to choose from, and Richmond Heights is one of the more popular areas. Like any neighborhood, though, it has its advantages and disadvantages. So before you start searching for homes for sale in Richmond Heights, it’s important to do your research. According to real estate company Zillow, the average price of houses for sale in Richmond Heights, MO, is about $250,000, which is higher than the average price in St. Louis County as a whole, about $117,000. Living in Richmond Heights also has plenty of perks—living near Forest Park being one of the most significant. There’s also the Saint Louis Zoo, the Science Center, the Art Museum, and the Botanical Garden nearby, offering fun for all ages. Aside from deciding on a location, choosing the right real estate agent is one of the most important parts of buying a house. So while you’re browsing Richmond Heights real estate, also be sure to look for a Richmond Heights Realtor as well. Finding the right Realtor can make a world of difference when buying a home. In fact, it can be the difference between buying a house that’s perfect for you and buying a home you’ll regret in a few years. You could also end up paying way too much for a home if you choose the wrong agent. Once you’ve decided that Richmond Heights is the neighborhood for you and you’ve found a great real estate agent, you’re ready to start searching for your dream home!